DANVILLE, CA- The Freedom Falcons traveled to play the 2nd seeded San Ramon Valley Wolves in the semi-final round of the North Coast Section playoffs. The Falcons came into the game as the underdog, but not by much as they are the 3rd seeded team in the playoffs. The game looked completely different than the projections as Freedom dominated the game all night long. After a decently even 1st half, the Falcons exploded in the 3rd quarter and went on to upset San Ramon Valley, 71-62. Freedom came into the game riding two easy playoff victories over Dougherty Valley and James Logan. Senior guard Rodney Pope led the Falcons to the win as he went for 15 points and five assist on 12-for-21 shooting. Senior forward Joe Mixon, who has 51 offers to play college football, added seven points on 4-of-8 shooting. Mixon signed with Oklahoma earlier this year at the Army All-American game in Texas. He also got other offers from Florida State University, Oregon University, Texas University, and many more. 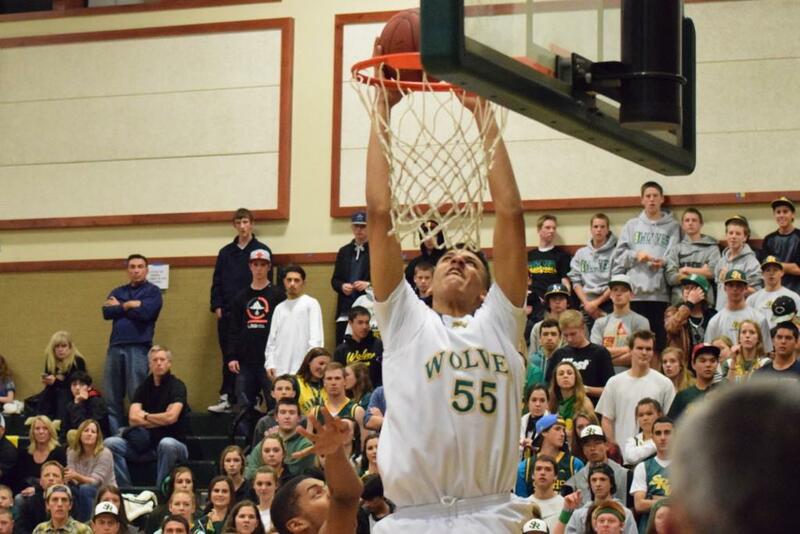 As for San Ramon Valley, they had a decent night shooting the ball, but it just wasn’t good enough to win the game. Senior guard Jerry Karczewski led the team in scoring with 19 points on 9-for-19 shooting, he was aided by a great shooting night from sophomore guard Austin Henderson who had 18 points on 6-for-7 shooting. Forward David Gunn added 12 points, four assists, and three rebounds. The Wolves might have had success if they were not getting dominated on the boards, as Freedom was getting to every rebound. “We just came up a little short, we weren’t shooting the ball as well as we would have liked and Freedom was outrebounding us. We still have a lot to play for,” said guard Christian Fuca. The Falcons now move on to the NCS championship game as they will play 1st seeded Monte Vista at St. Mary’s College on Saturday night. They will have extreme problems stopping the Mustangs as they easily handled De La Salle in their semi-finals game. Freedom improves to a 24-5 record as they can cap off an outstanding season with an NCS title on Saturday. San Ramon drops to a record of 23-5 and will now have to look forward to State playoffs, which will start after the NCS playoffs are over. As of right now the top four teams in the NCS playoffs would make the State tournament, including De La Salle, Monte Vista, San Ramon, and Freedom. Even though it is looked at as an extreme disappointment for the Wolves to not win NCS, they still have a lot to play for. “Now we have to play Kennedy in the first round of CIF playoffs, we are not worried, we are ready for every new challenge thrown at us,” said SRV guard Keith Smith. San Ramon Valley will host Kennedy High on Wednesday, March 12th at San Ramon.